Heeft u een vraag voor Davina Beach Homes Resort? 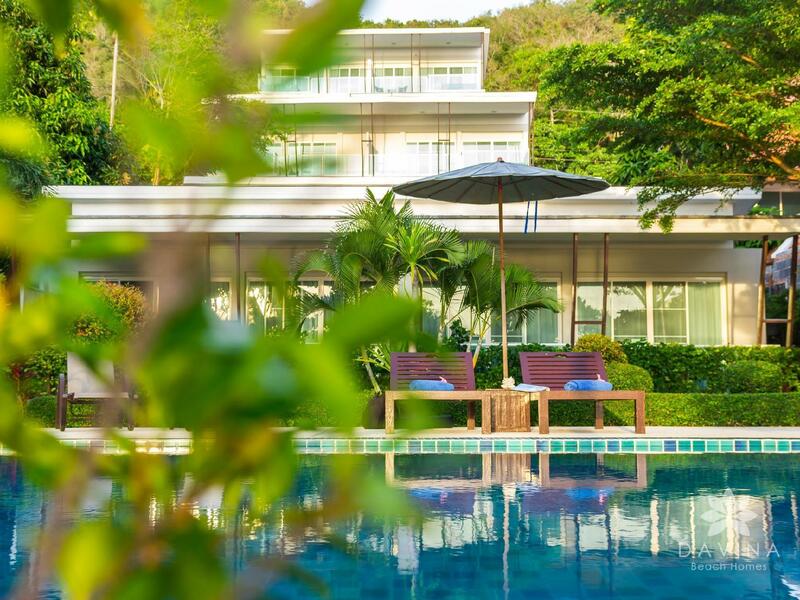 Gelegen in het hart van Panwa Kaap, is Davina Beach Homes Resort een ideale uitvalsbasis om Phuket te ontdekken. De accommodatie ligt 16.7 km van het stadscentrum en de belangrijkste voorzieningen zijn dus goed bereikbaar. Dankzij de praktische ligging, biedt de accommodatie eenvoudig toegang tot alle belangrijke trekpleisters van de stad. 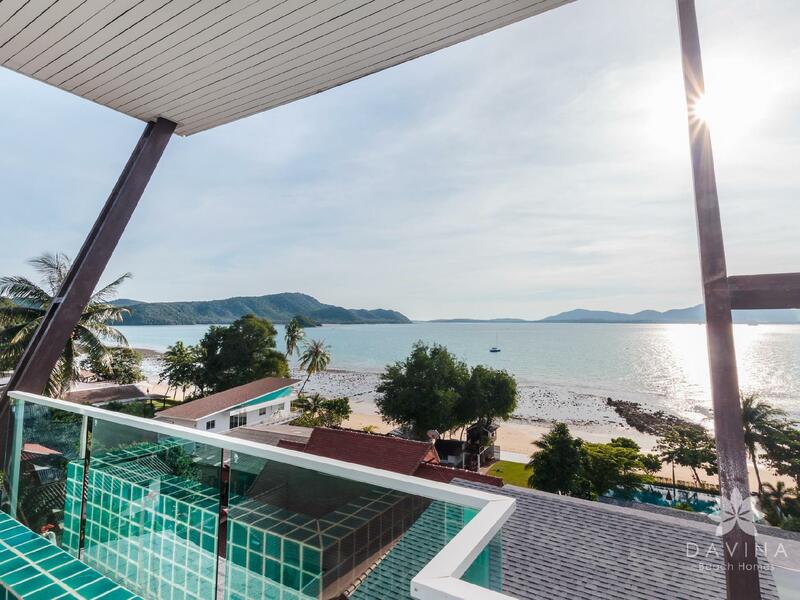 Davina Beach Homes Resort biedt vele voorzieningen om uw verblijf in Phuket zo aangenaam mogelijk te maken. Gasten kunnen gebruikmaken van de voorzieningen terplaatse zoals gratis wi-fi in alle kamers, wi-fi in openbare ruimtes, parkeerplaats, vervoer van/naar luchthaven, familiekamer. Davina Beach Homes Resort beschikt over 14 gastenkamers. Deze zijn allemaal smaakvol ingericht voor optimaal comfort, met voorzieningen zoals plasma tv, kinderstoel, kledingrek, sofa, handdoeken. De beschikbare recreatiemogelijkheden in de accommodatie zijn inclusief hot tub, privéstrand, zwembad (buiten), massage, tuin. 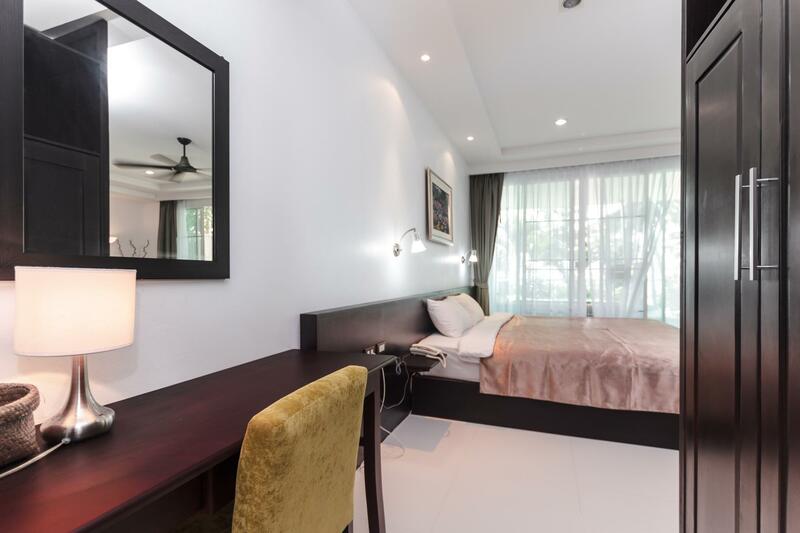 Fantastische voorzieningen en een uitstekende locatie makenDavina Beach Homes Resort de perfecte uitvalsbasis om van uw verblijf in Phuket te genieten. Voor verblijven korter dan 3 dagen zullen er extra toeslagen voor waterconsumptie in rekening worden gebracht. Warm water voor het bad is niet beschikbaar bij de accommodatie. Wij verbleven hier voor 6 nachten, en de suite was echt zeer ruim en proper schoon. Wij hadden 2 suites gehuurd, en in 1 ervan daar was de airco slecht,. Hiervan hebben wij melding gemaakt, en de volgende dag werd die compleet vervangen, echt top service dus. Was fijn jammer dat er rondom het hotel verder niks te doen was. Geen restaurant. Geen uitgangsgelegenheid. Slechte bedden. Veel problemen met kapotte airco's, stroom viel uit midden in de nacht, water ook. Our best stay on Phuket. Apartment was big, with comfortable bed and big choice of TV programs. Bathroom had bath and shower. The whirlpool on the balcony was amazing and with fantastic view. The beach was fantastic, very calm with beautiful sea and restaurants just on the beach. There was a self-service of washing machine for a very good price in the premises. The only small issue was that the parking possibilities were a bit small but we have managed to park every night in front of the apartment. Prons Quiet beach. Not crowded with people. Perfect seaview from swimming pool, jaccuci and room. Reasonable price and delicious food can be found at nearby beach cafe. Room is big. A small kitchen with utensil, microwave and fridge. Cons Jaccuci not able to change water by self. They will only change the water in the jaccuci upon request every 2 days when perform housekeeping. Very far from city. Conclusion : Perfect for those who want quiet place which do no have any entertainment nearby except a beach cafe have a live band at night. Silent small hotel with beautiful garden and big pool by the sea. Amazing view at the BigBuddha and Chalong bay. Best authentic beach bars @ the beach nearby, 24h shops and taxi/car rentals at 5min walking distance. If you’re after privacy, tranquility and a few days away from the hustle and bustle of Phuket, Davina is for you. The rooms are huge, the views magic and staff a joy. Hire a scooter and explore Panwa and you will not be disappointed. No bar or restaurant. But turn left or right on the beach and enjoy some authentic Thai and there are a number of convenience stores 10 minutes away, or 2 if by scooter. I strongly recommend this resort to any one especially if your newly married for honey moon amazing hotel view, very clean. very good swimming pool with less than 20 meter beach distance. The hotel has very beautiful view inside and outside. rooms are very clean with kitchen and equipment. Especially the night staff (guy) and day staff (lady) is really help full. we reached hotel very late night and we were so hungry but night staff so helpful to us he guided us for food and drinks. No pollution at all. Always you will hear trees, wind and beach noise only. Near to hotel you will get plenty of restaurants for food, money exchange, massage centers, rent a car or bike. I am sure i will visit again with my kids. Thank Davina I love you, see you soon. CHEERS. Davina Beach Homes is a great option for a relaxing, quiet and affordable vacation....for a day or a week. Each very spacious room fronts the beach with balconies overlooking beautiful Chalong Bay (each with its own private outdoor Jacuzzi. No breakfast, but there are affordable options nearby. 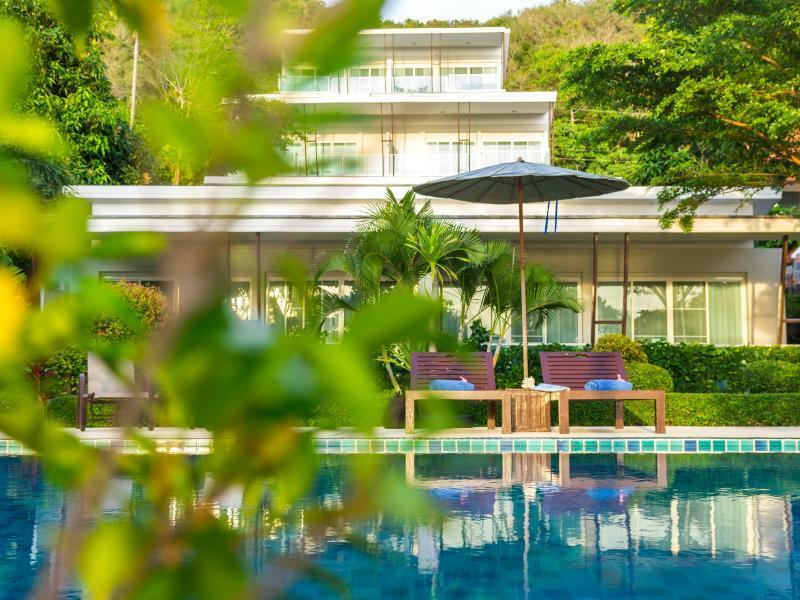 I live year-round on Phuket and I heartily endorse this East Coast island getaway. If you seek for escape from busy and crowed city centre, this is the place to be!!! The lady she name is Mai, she the owner of the property she’s very welcome and professional. The place make you feel like stay at your holiday house in Phuket !!!!! The family room had only one bed. We had to pay money for a second bed and one child slept on the sofa with no bedding even though the booking was for a family room with two kids. Filling the spa with water was an extra charge. Switches installed on all the balcony doors to cut off the air conditioning when ever opened. We live in Phuket and often spend weekends away. We don’t recommend this place at all primarily due to the rude and unhelpful management and not getting what we paid for. A studio style room with bathtub and shower. This is a quiet place on Phuket island away from the hustle. And it is an affordable Hotel right on the beach. You will need to rent a car a motorbike. Rent car for easier movement. Very peaceful, beautiful beach, kids love the beach. Easier to find halal food. Recommended for muslim tourist. Overall thumb up and i will repeat my vacation again next year with same hotel. private beach. the receptionist was friendly and helpful. the kettle was rusty though but the staff got it change for me. the jacuzzi u had to pay 200baht and the staff will fill it in for you. the view was awesome. not crowded. theres restaurant beside the hotel and 2 more restaurant if u walk for 5mins along the beach. overall if u want a calm and relaxing vacay u can come here. Bad start, no water at 4:30pm the day I checked in when I needed to get ready for a conference, and no one really gave me a heads up, so water ran out 2 minutes in. Had to scrub the soap off with towel to make it on time. It's actually a beach house, with very minimal staff around, and none can speak or understand English. Only view was good I saw many of bugs and small lizards and they only give me spray it doesn’t work from 3d day I asked for refund becouse the bugs and I have allergy from it they rejected and I checked out without any refund money.